These geometric patterns are all vector, so you can make them as large as you want with no loss in quality. They are seamless and you can also fully edit the colors for unlimited custom creations! 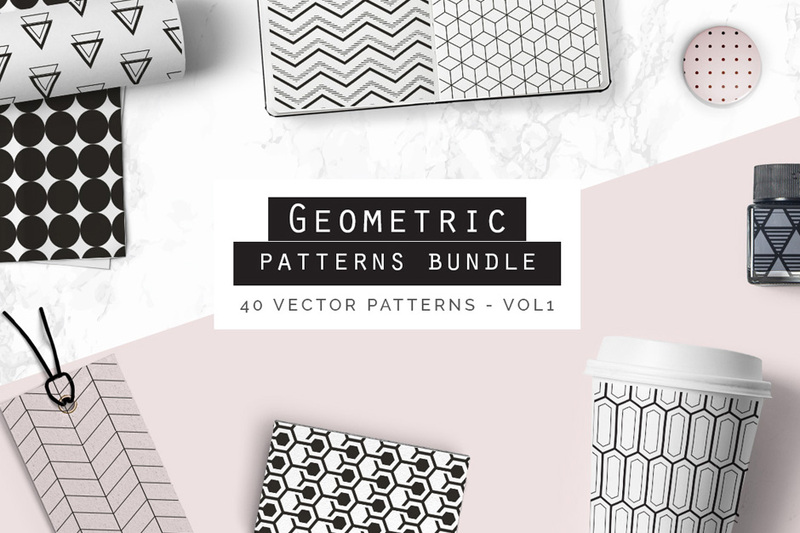 • 4 Vector .EPS format files with 10 seamless patterns each (total of 40 patterns). • 4 Vector .AI format files with 10 seamless patterns each (total of 40 patterns). This product has not been featured in a past deal. However individual patterns within this collection have been part of The Gigantic Textures and Patterns Bundle. File size is approx 49.9MB (342.7MB unzipped), offered as a single download.